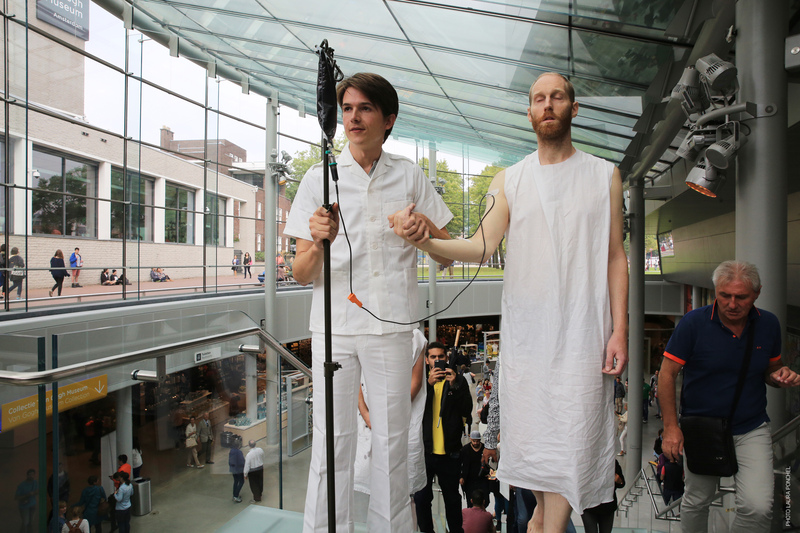 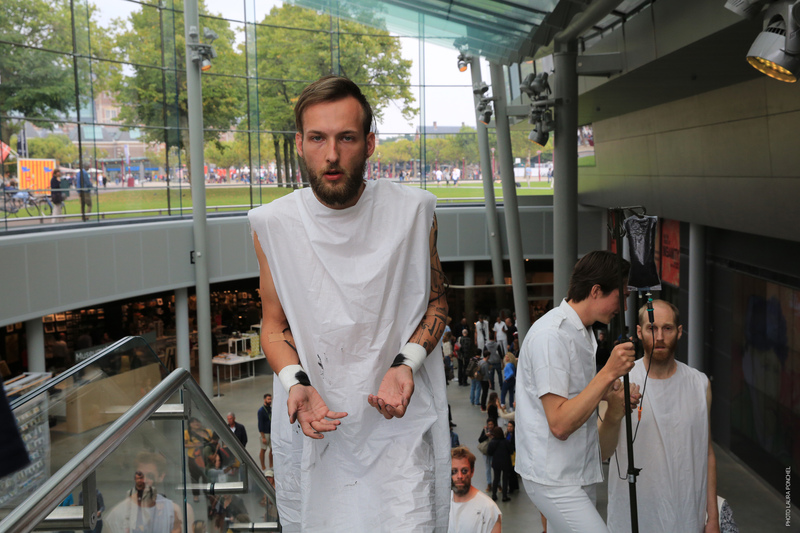 Four men dressed as hospital patients wander inside the museum. 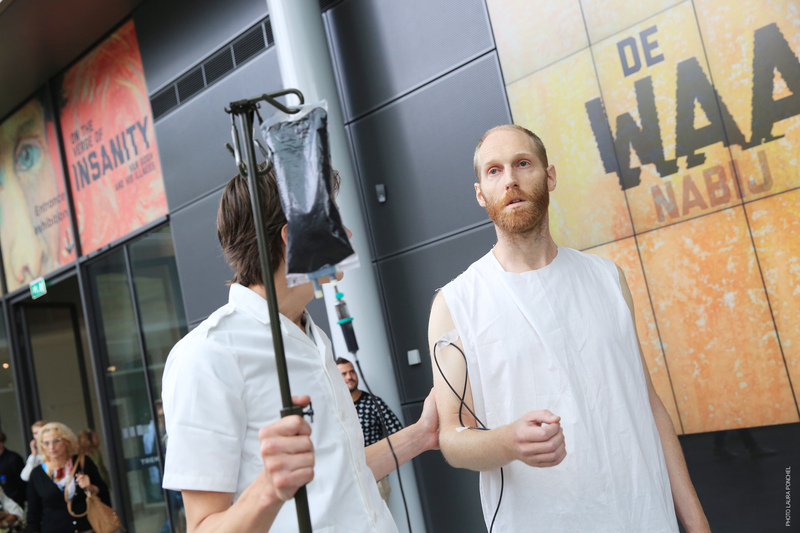 In the background, a large screen displays the title of the temporary exhibition: “On the Verge of Insanity: Van Gogh and His Illness.” One patient stands attached to an intravenous drip, his body intoxicated by a thick black substance. 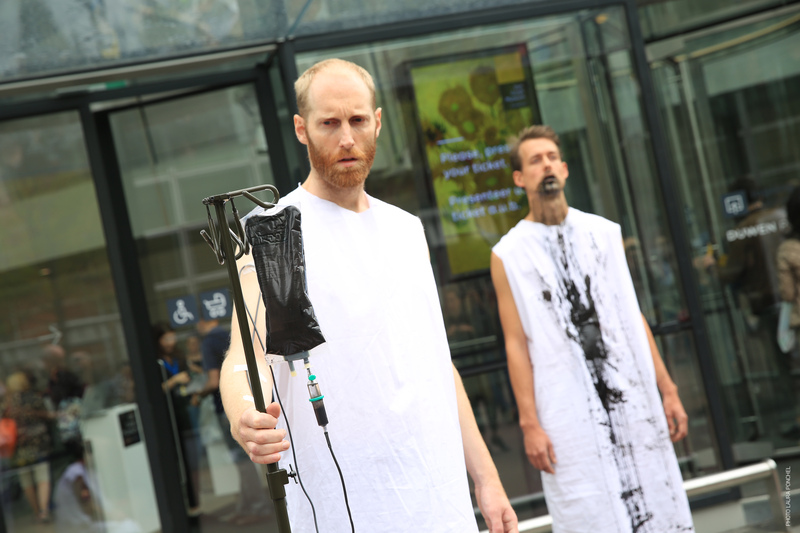 A second patient, suffering from heavy petroleum poisoning, is seen with oil drooling from his mouth, another unable to hold back his black tears, is chronically depressed by the toxic cultural partnership. 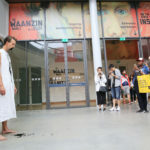 A fourth wanders hopelessly around the hall, oil dripping from his suicidally slashed wrists. 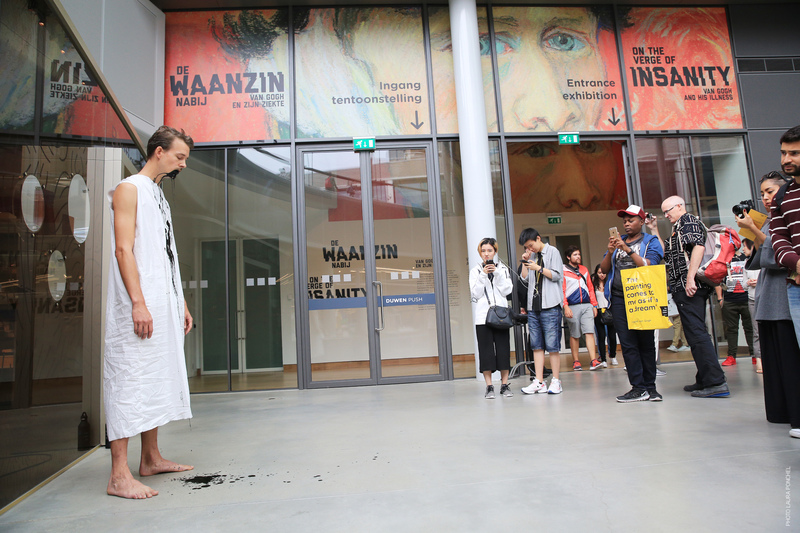 Beyond Insanity reveals the illusion hidden behind the partnership between Shell and the Van Gogh Museum. 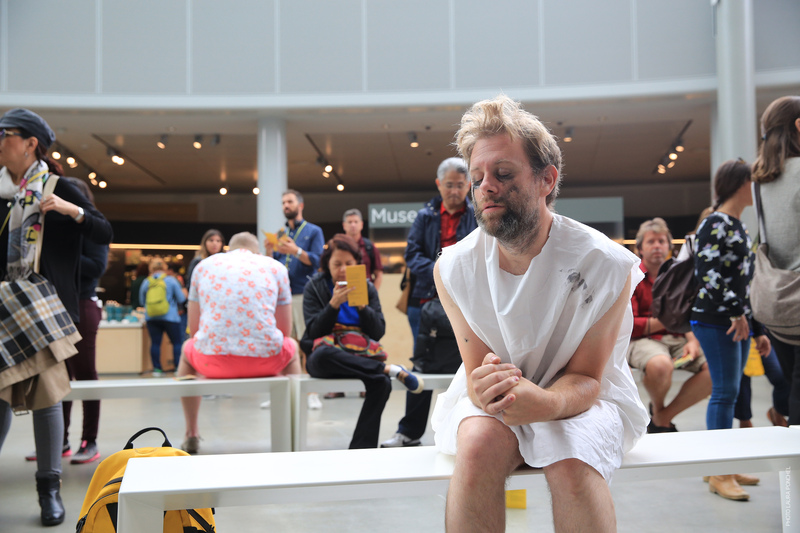 Shell intoxicates the arts.